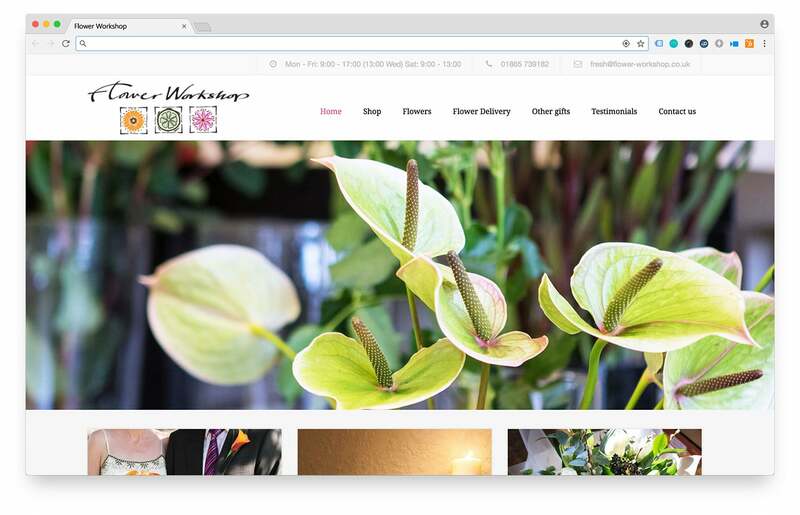 The Flower Workshop had inherited an old website which was completely unmanageable, so we were asked to create a new one that would allow them to make changes themselves, but quickly and easily so they could concentrate on serving their customers! We actually suggested a theme that was aimed directly at florists, but omitted the clichéd stock photography! The end result is as beautiful as the flower arrangements themselves! We also had the idea of making the email address more fun, and they liked it too! Send them an enquiry now with fresh@flower-workshop.co.uk!